We are lucky to have Kevin Evans live in our community. A retired CEO, news anchor and association executive, Kevin is committed to fostering dialogue, public engagement and consultation aimed at strengthening the community. Kevin volunteers with the Rotary Club among other volunteer organizations. 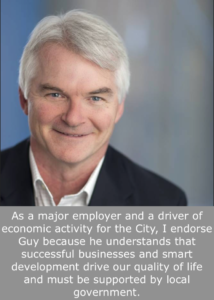 Peter Leitch is an active member of the North Shore business community. North Shore Studios has been involved in the production of major feature films and television series for the global marketplace representing over 1,000 film production related jobs on the North Shore. These productions spend millions of dollars annually with local vendors and suppliers. They depend on the City to accommodate responsible film production on city streets and other locations. Affordable housing and transportation infrastructure are critical elements to the future growth and success of the industry. Peter believes both elements are vitally important to all major employers on the North Shore. He considers himself fortunate to live and work here and enjoy all that the North Shore has to offer. 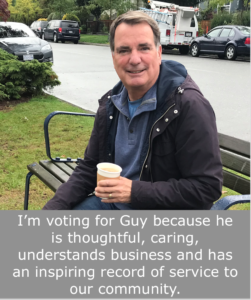 The business community needs a mayor who understands the importance of retaining and growing businesses on the North Shore and will work hard to get the North Shore transit and transportation infrastructure investments that we need to be competitive. We are very fortunate to have Barbara Perrault live in our City. 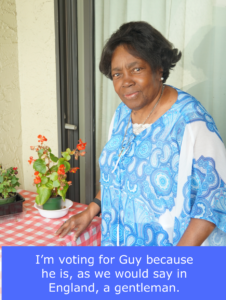 Barbara is a 60 year resident of the City and, with her late husband Senator Ray Perrault, raised three children here. Barbara has contributed immensely to our community. She served as city councillor for 18 years and worked on various civic committees like the North Vancouver Recreation Commission, where we worked together. She also sat on the library board and the arts commission, and she has fundraised for the Lions Gate Hospital Foundation. 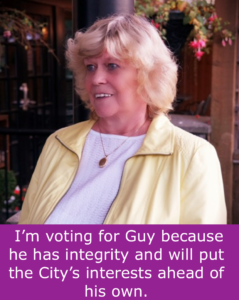 Ava is a retired nurse who has lived and worked in several countries. Although qualified in many fields, her highest calling was to instruct nurse trainees and to deliver babies. She is also an author of medical books, including one on how to care for family members living with Alzheimer’s Disease. 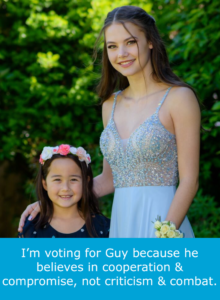 Ava is looking for a mayor who listens, helps solve problems and treats people like he would treat his own family members. Mike Okun is a partner of a professional engineering firm based in the City of North Vancouver and a 26-year City resident. His work has allowed him to see the behaviour and corresponding results of politicians globally. 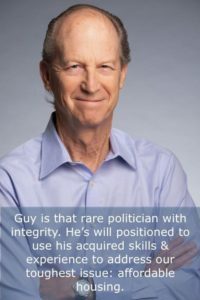 In his experience, it’s rare to find a politician with business acumen, integrity and sincere dedication to those who elected him/her. Mike’s most pressing issue is MAKING CNV HOUSING AFFORDABLE for those who work here. That in turn will go some of the way to improving the common gridlock that we all are experiencing. Mary is an author, urban designer and art consultant with an honours degrees in Environmental Studies. She is married to award-winning west coast artist Wade Baker, and her daughter Sierra has followed in her footsteps studying environmentalism and is a dancer. As a former school board trustee, Mary brought to our community her keen insight and understanding of coastal First Nation’s customs, wisdom, and oral storytelling tradition. Mary has my vote, and we would be lucky to have her back on the school board. Betty Escott is a lifelong City resident and an inspiring community volunteer. Her family has made important contributions to our community — from the WWII war effort in the Shipyards to the early days of North Shore Rescue to service as first responders in the fire department and at Lion’s Gate. A Human Resources professional and mother of two, Betty has worked managing government training and programs for business and industry. She took a sabbatical to work in real estate for a number of years, worked with a Member of Parliament and is a Lifetime Member (44 yrs) of the Chamber of Commerce. 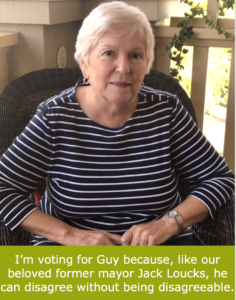 Betty’s passion for her community drives her biggest election issue: returning honesty and RESPECT back into politics to make sure that City decisions are made for the right reasons and using common sense. Maggie Kean is a millennial who is accomplishing a difficult thing: renting a home in the City of North Vancouver. Maggie works tirelessly to support herself and her fur family. She works two jobs with staggered hours, one during the day at a pet daycare and the second evenings & weekends at a bar. She also works part-time providing social media support to a local business and picks up shifts at a second restaurant. Maggie is a talented photographer, and you can find her work at Kean Images. 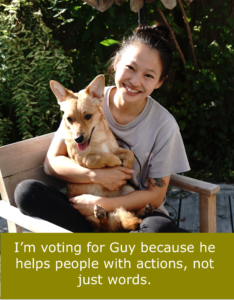 Shown here with her pup Tucker, Maggie’s biggest issues for the election are rental affordability and pet-friendly rental policies. Meet Lisa Southern. Lisa is first, and foremost, mom of two remarkable boys. She, like them, loves her North Shore Community and wants to contribute in opportunities to make it better. 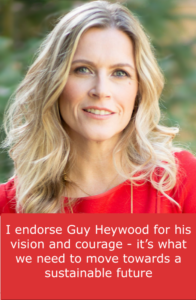 She will vote in the District election, and she will bring her boys with her, encouraging them to learn the importance of this unique opportunity we are given to have a say. Lisa has been a labour and employment lawyer for over 22 years. 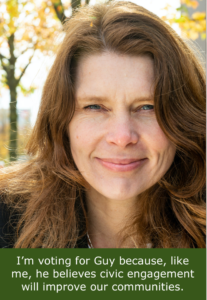 She has launched her own firm, Southern & Associates, and we are very lucky that she has selected the City of North Vancouver for her offices. As a business owner and taxpayer, Lisa will not have a vote in the City election but she is very invested in the outcome. Antje Wilson owns and operates a distribution business and has raised her family on the North Shore. She has served as chair for the City’s Social Planning Advisory Committee, director of a youth organization, and community coach at Sutherland. She has organized many community events and believes giving back makes for better communities. 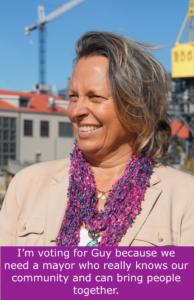 I support Antje’s run for city council to promote civic leadership focused on constituents’ vision for their community. Like me, she believes “top down we know better” is simply wrong and does not respect the citizens of our community. Shown here with her little sister, this is my stepdaughter Makenna. She is voting for the first time by mail-in ballot from Montreal, where she goes to university. Makenna is studying film to tell stories about and help girls without access to education, the mentally ill, the homeless and other people outside the mainstream. Her biggest concern in this election is whether she will ever be able to afford to buy a home here.